One of the things I love most about spring is getting back to gardening. When we moved into our house 9 years ago, the people who owned the house before us planted lots of shrubs, trees, and grass. Personally, I don’t really care for landscaping that requires a lot of maintenance without giving me back a little something for my efforts! Edible gardening is the perfect way to create an attractive yet functional collection of plants. Nothing says that your yard can’t look pretty AND be edible, right? Check out my posts on edible flowers and organic gardening before you start digging. 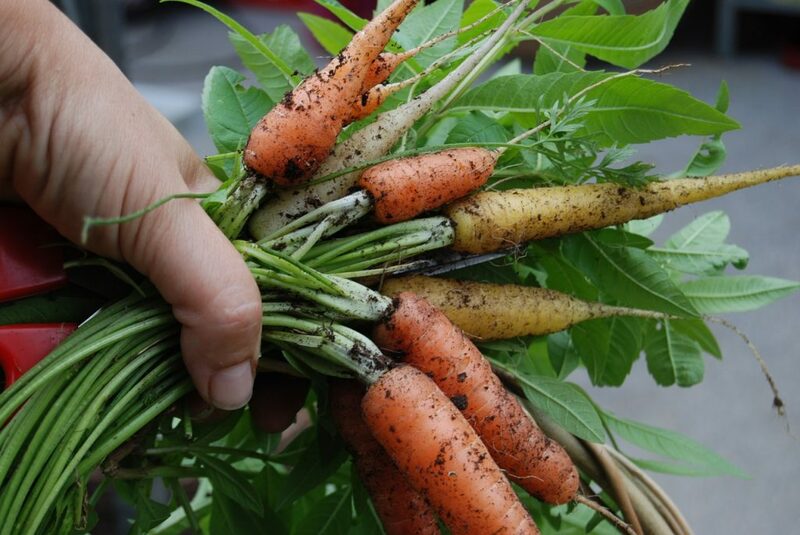 Here are a few edible gardening tips to get you started. So, what is edible gardening exactly? Basically, an edible garden is one that contains things you can eat. This includes flowers, herbs, seeds, berries and other assorted plants. It doesn’t have to be overly large. You don’t have to be a farmer with a tractor and silo to plant an edible garden. Start small with a few flower pots on your patio or install a window box for a kitchen herb garden. You can even grow food inside if you live in an apartment or a very cold climate. Just get started! Growing food to feed your family is incredibly fun and rewarding! Growing Peanuts is a Tasty and Educational Garden Project! Don’t have an area set aside for a garden bed? Try incorporating edible landscaping into your yard. This could include fruit and nut trees, berry bushes, vegetables, herbs, and edible flowers, all worked into your existing landscaping. Some people call this concept foodscaping. One of the best edible gardening tips I can give you is to look for perennial food plants. If you plant perennial food crops, you will save yourself quite a bit of time and effort every year. However, there are only so many edible perennials that you can plant in your garden. Intersperse annuals where you find you have extra room. However, make sure you plant different edible crops in different locations. In food gardening, you never want to plant the same vegetable in the same bed year after year.This could eventually deplete the soil of certain nutrients. Try to rotate your crops periodically and make sure to fertilize with homemade compost regularly. Check out Mother Earth News for some perennial vegetable ideas. You can learn more about foodscaping in the video below. Growing your own food is a great way to save money on your grocery bill. Your first year of edible gardening will have some startup costs involved but after that, you should be able to plant quite a bit of food for very little cost. I like to add perennials like rosemary, rhubarb, chives, mint, lemon balm, blackberries, and a few others so that I know they will come back year after year with just a bit of fertilizer. I also enjoy growing things like lettuce, parsley, cilantro, and basil. These are things I use often in small amounts and when I purchase at the grocery store I end up throwing alot of it away when it goes bad before I can finish it. Being able to grow your own food reduces your carbon footprint quite a bit and growing your own food is definitely a good workout. Those bags of cow manure are not light and spending a few hours tilling soil is quite a workout. 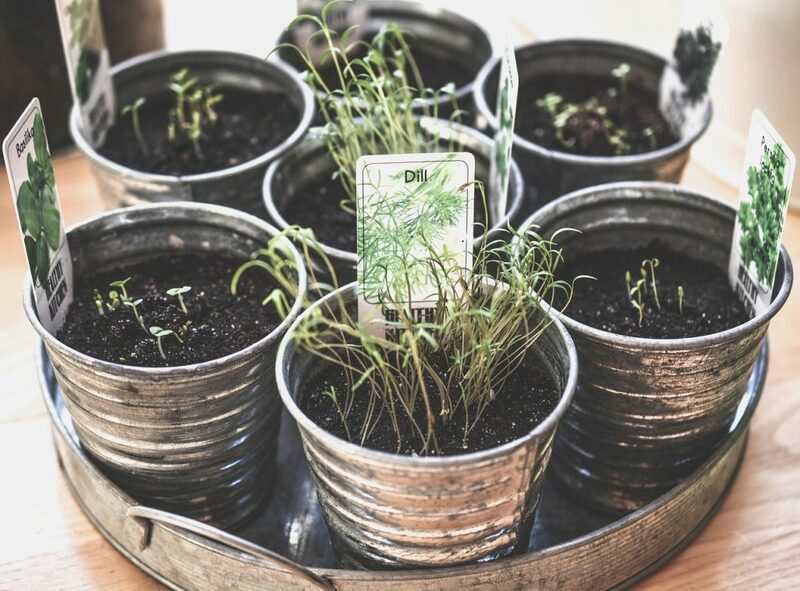 You can make your edible gardening project as small as a few pots on the patio or as large as completely eradicating your grass and planting multiple garden beds. Every little step counts! Edible gardening is a great way to get back to your roots, so to speak, and start growing something useful! 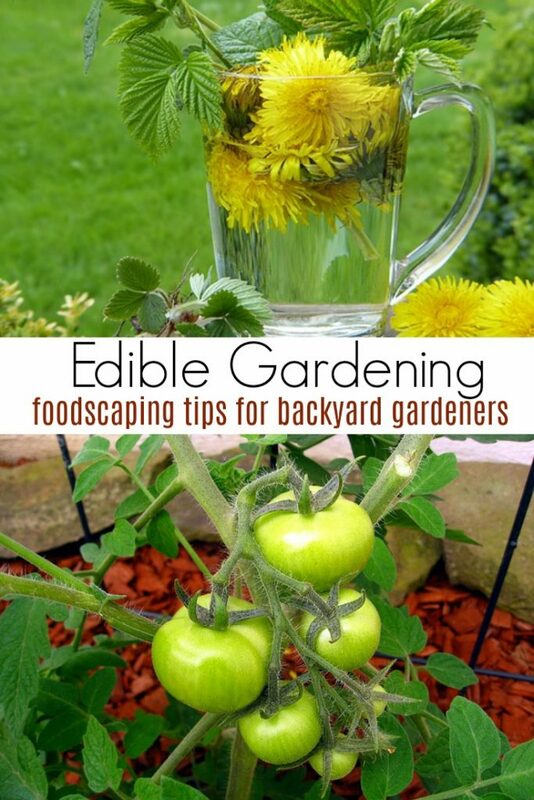 Here are a few edible gardening tips to get you started on your foodscaping journey! Plant fruiting shrubs like blueberry bushes. Some varieties can get quite tall to provide a bit of privacy for your yard while still providing you with a nice harvest of fruit. Make use of existing fences. Many varieties of blackberries and raspberries will grow as vines. If you have a fence in a sunny location, plant a few of them right along with it and let them use the fence as a support. Check out my vine growing tips for more info. Go up, not out. If you have a small yard, consider growing your cucumbers on a trellis or your tomatoes from a hanging pot. There are lots of creative ways to maximize space. Don’t forget edible flowers. Pansies, geraniums, nasturtiums, and many other pretty flowers are actually edible. Use them for attractive landscaping and pick as needed to garnish salads or side dishes. Make sure you choose the right soil, supplements, and gardening aids. 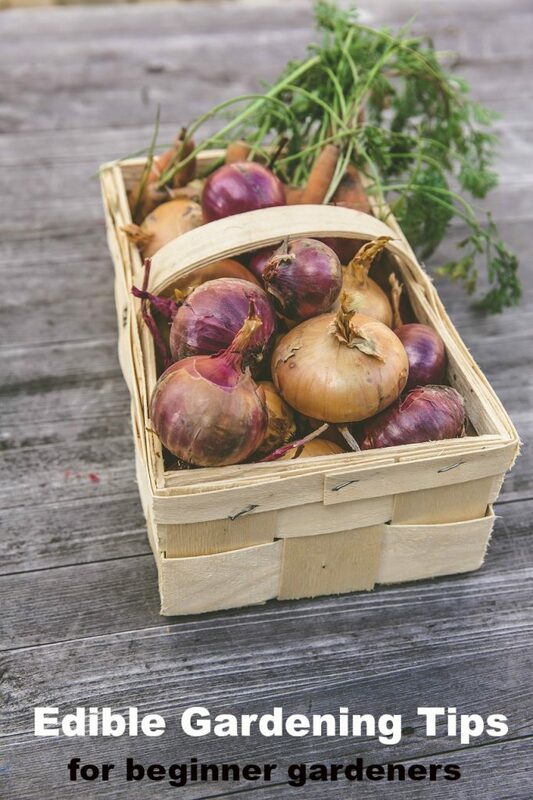 Ideally, everything you use in your edible gardening project should be organic, natural, and completely safe for consumption. Choose organic soils, natural fertilizers, and use only food safe pesticides. Get creative with your kitchen products. Have you ever considered planting a teabag garden? This year I am going to be ambitious and try my hand at growing beets. I have tried previously without a lot of success but fingers crossed that this is the year it works! I have several different types of lettuce already in the garden but once the beets start coming in I can make this Beet and Arugala salad with Goat Cheese! Do you have edible gardening tips you would like to share? Pin these Edible Gardening Tips for Later! we do LOTS of edible gardening. it's fun and SO delicious! and a great way to teach the kids all about where our food comes from! I think I'm bound and determined to get my edible garden/landscaping done this year. These are some great tips. I didn't garden at all last year because we had just moved. I hope to get some veggies planted this year! good luck! I love wandering out into the yard and coming back with something to eat! my kids do this with the blackberries ALL the time! i keep wondering why the berries aren't growing, only to realize they have purple fingers and mouths! We are just starting to get ready for our garden this year. The snow hasn't completely melted! We always plant grape tomatoes-low maintenance and delicious! I live on the edge of town so it is very windy. When I plant broccoli and cabbage I put a gallon can around them to help protect them, it also makes watering much better as it stays in the can and works down to the roots. That is a great idea! We have very little wind here in metro atlanta for some reason. Growing up in New England it was much windier!